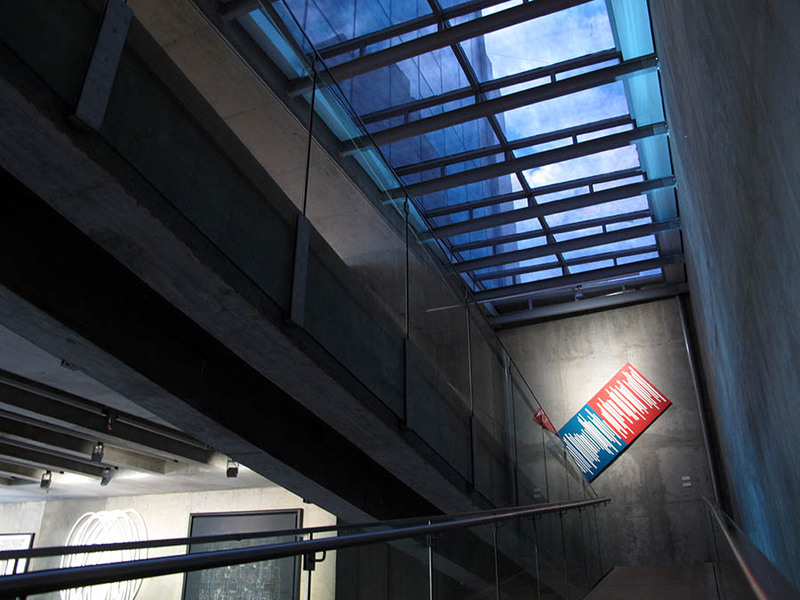 Opened in 2012, the MACBA is a recent addition to Buenos Aires’s cultural landscape. 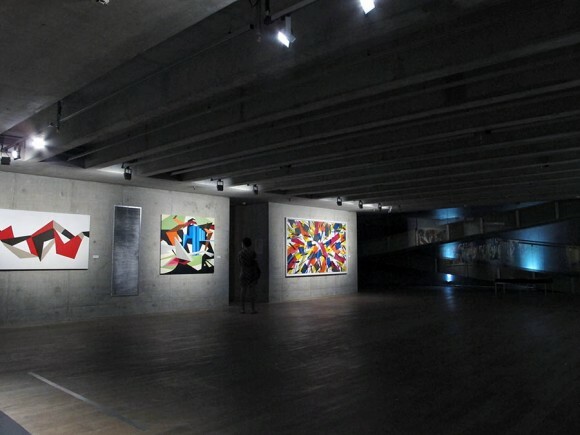 It showcases the private collection of Argentinian art collector Aldo Rubino, who specialises in geometric art. He made his fortune in finance and lives mainly in the US (although he tries to be in Buenos Aires at least one week per month, as he told Clarin newspaper in 2011). The building itself felt like the real attraction. Designed by Argentinean architects Vila and Sebastian, the MACBA is a small and encapsulating museum that manages to focus the visitors’ gaze skilfully on the exhibits on display here. 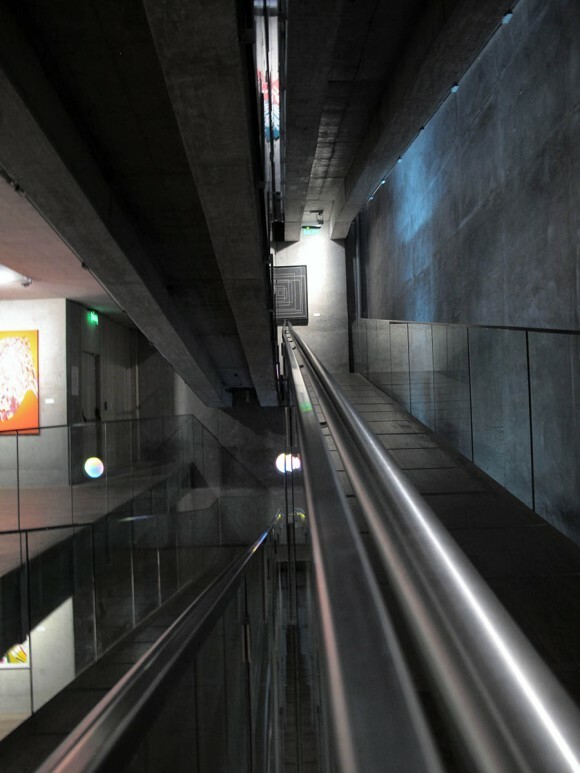 Diagonal ramps between the different floors create a very peculiar geometry and seamlessly integrate the various parts of the exhibition. 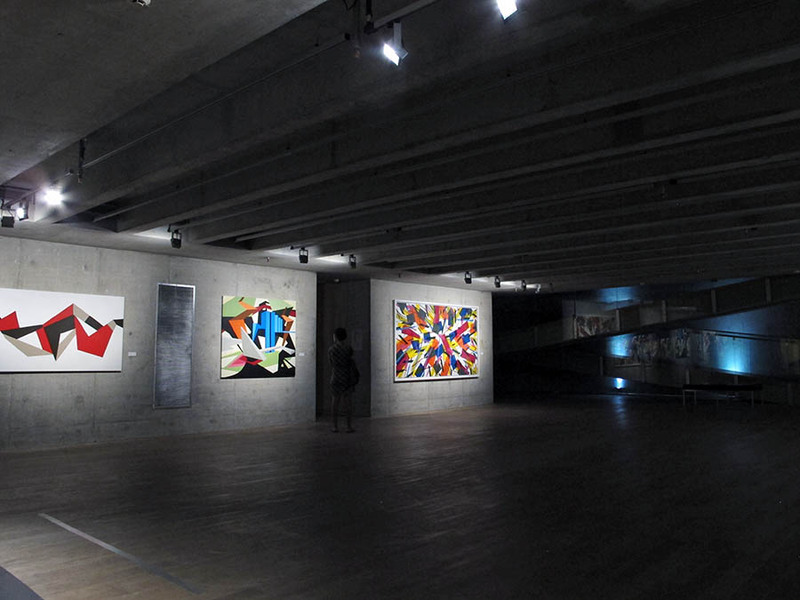 Beton brut proves to be a great background rich in contrast for the geometric and mainly colourful exhibits. It also creates the signature dark environment. 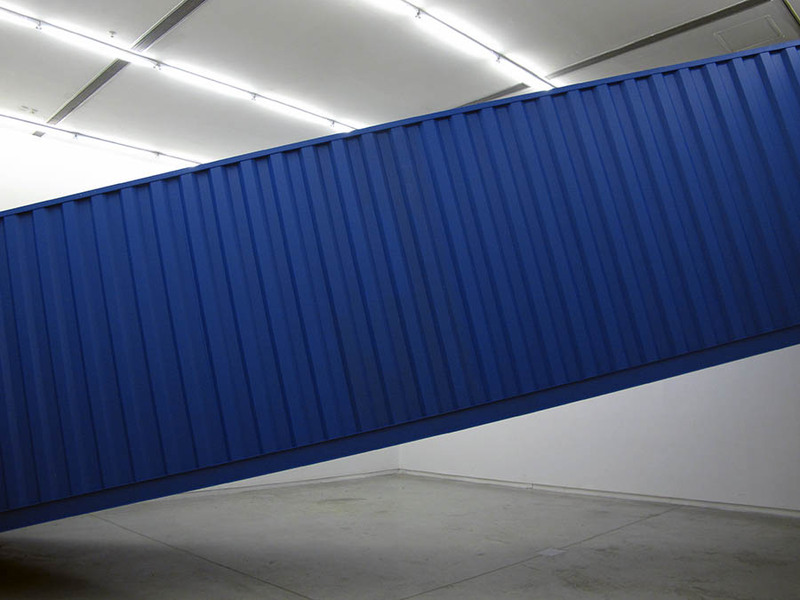 A great design experience depends also on construction quality – and unfortunately the MACBA suffered from a few glitches. There were large cracks in the darkened skylights and air conditioning vents were installed unevenly. 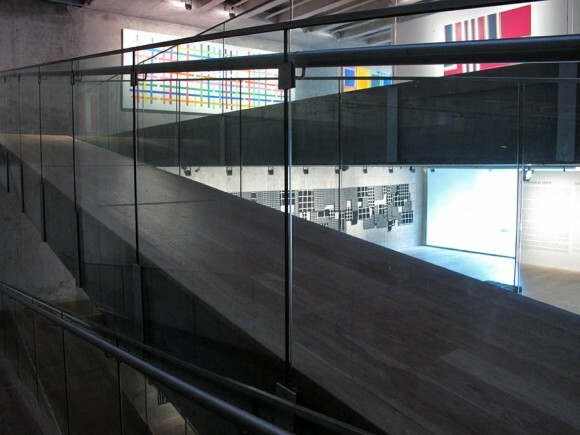 The diagonal ramps were fairly slippery, with grip on the polished wooden floor provided by some kind of floor tape. 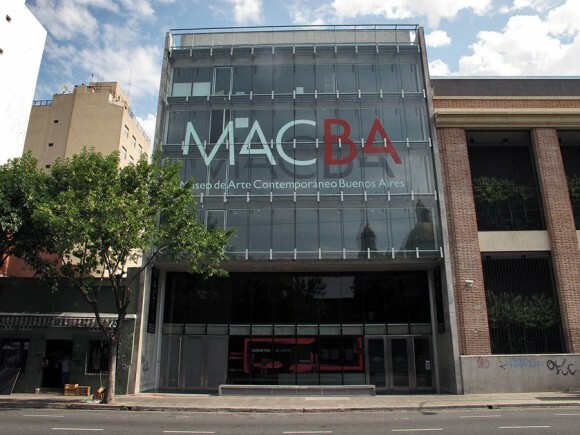 As with a few modern places we have seen in Buenos Aires this time, the MACBA felt rather worn for its young age. Nonetheless, the MACBA is really worth the trek to this less touristy side of San Telmo. This is especially true when you combine it with a visit to next door’s larger MAMBA. 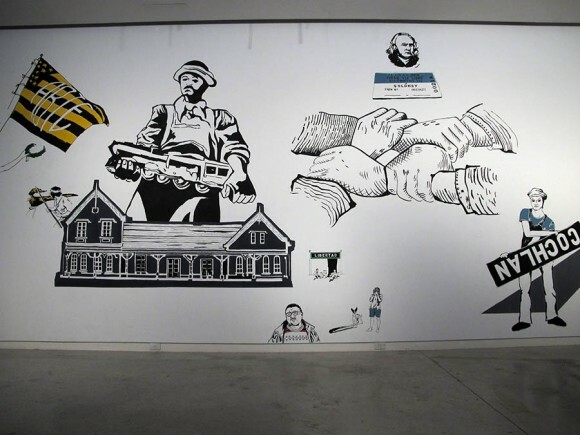 The MAMBA is a place for various changing exhibitions. The mural and the poster below are from one named ABTE (Agrupacion de Boletos Tipo Edmondson). 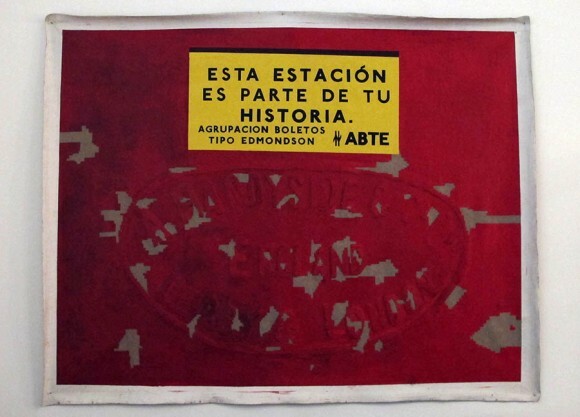 ABTE is an art collective founded to commemorate the importance of trains in Argentina’s history. Unfortunately, railway has become less and less important due to corruption and, more recently, privatisation. Our experience here has been mixed. The subway looks worn and dirty, much more so than four years ago. The Mitre Line, connecting Buenos Aires’s center with the leafy and wealthy Western suburbs, has also seen better days. It was recently nationalised following a deadly accident in 2012. The Linea Belgrano, connecting Retiro with some of the poorer parts of the Buenos Aires province, appeared in decent shape, although average speeds have come down since a few years ago. All the while, prices are extremely affordable, with a one-hour trip costing USD 1.30 one way. Other impressive exhibits in the MAMBA included a wooden installation by Luis Teran (see below) and a blue shipping container filling an entire room in the museum’s basement (Jorge Macchi). 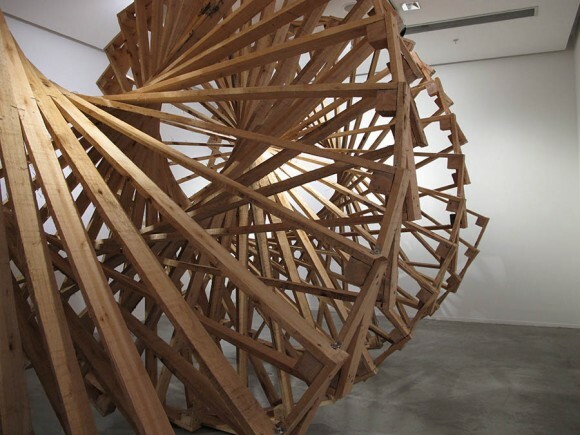 This entry was posted in Architecture, Argentina, Art by benbansal. Bookmark the permalink.